Do you shoot tethered? You need TetherTools! Make sure you check out their Holiday Specials too. 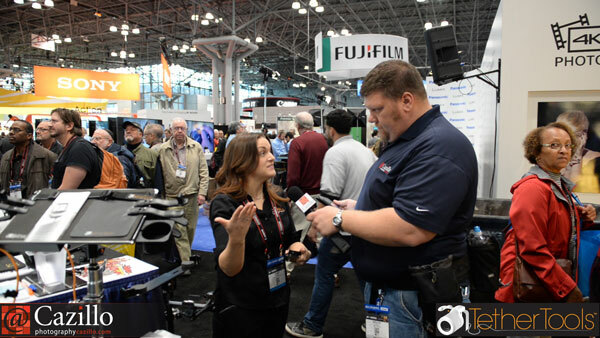 Greg & Amber from TetherTools go over their wide breadth of products at PhotoPlus Expo. Their products help you to shoot tethered from laptop stands, cables, arms and tablet brackets. They will be sending me an AeroTab mount very soon, stop back for the full review. Keep shooting! @Cazillo Available on Google Currents!